Are you looking to implement water conservation measures in your apartment or home and wondering where to start? Not too sure how to go about it and want to understand if there are real benefits? Or how practical it is and how long it might take? This World Water Day, get all your questions answered with "Savings on the House." 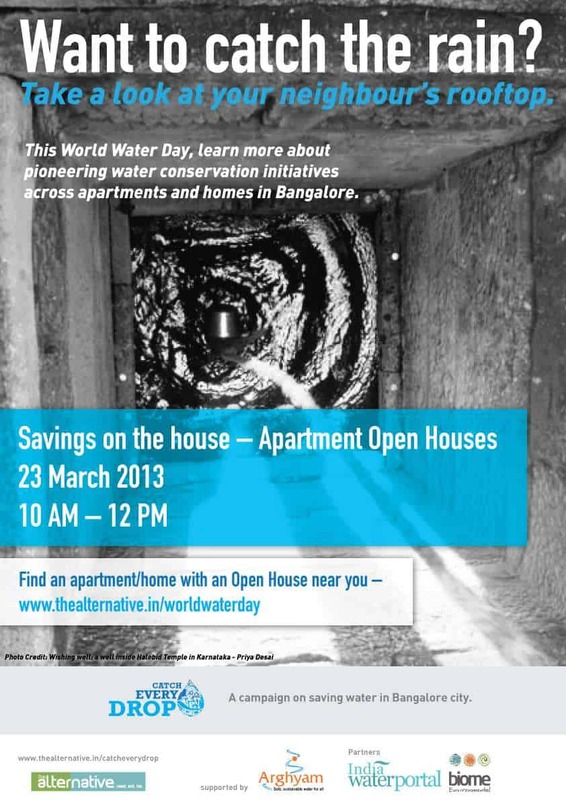 On Saturday, 23-March, visit over 15 pioneering water conservation initiatives across apartments and homes in Bangalore to learn how they did it – rain water harvesting, sewage treatment, water metering, groundwater recharge and other successful water conservation practices. Following are the list of apartment open houses across the city – All Open houses will be conducted on 23rd March between 10:00 AM and 12:00. These Open Houses are for just about anyone looking to implement water sustainability – in their homes, apartments or layouts. 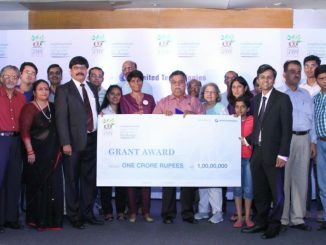 They are especially useful to association members and water champions looking to get a know-how on RWH / STP / Recharge/metering implementation in their apartment or house. Savings On The House is an event conducted as a part of the World Water Day celebrations on March 22 and 23, 2013, by Catch Every Drop, a campaign on sustainable water conservation by The Alternative, sponsored by Arghyam, with partners India Water Portal and Biome Environmental Solutions.